76. Which is the term used to refer the relationship between human beings and their physical environment ? 81. The gendering of World Politics is seen in which areas ? 84. Which of the following is a "loser" from unexpected inflation ? 88. Who has given the concept of urban fringe ? 89. Who introduced the concept of Gesellschalt ? 90. What is "double burden" ? 91. What is the gendered division of labour ? (B) It has led to an increase in women's consumption worldwide. 92. What is the impact of globalization ? 93. Who developed concentric-zone theory of city ? 94. Which of the following is a stage within the 'product life cycle' ? 95. An organisation's equal opportunities policy should be concerned with which of the following ? 96. 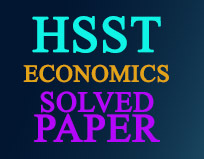 Which of the following describes an economic market that is controlled by two main suppliers ? 97. Which of the following explains how a Public sector organization obtains its Funds ? 100. A 'PEST' analysis is conducted on which of the following of an organisation's environments ?